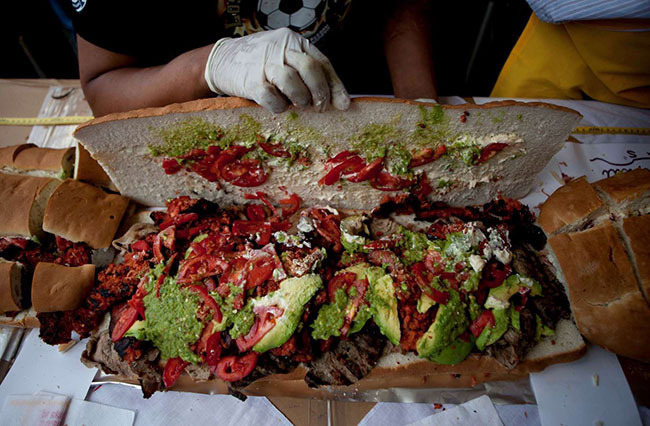 A wholesome sandwich comprising vegetables and meat served with beer, the chacarero is usually cooked using pork or churrasco-style steak. 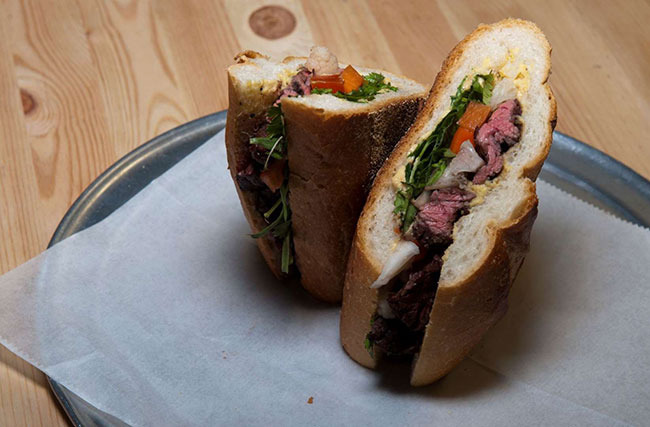 A sandwich with different names depending on the Mexican region it is cooked in, torta is similar to the Italian panino. 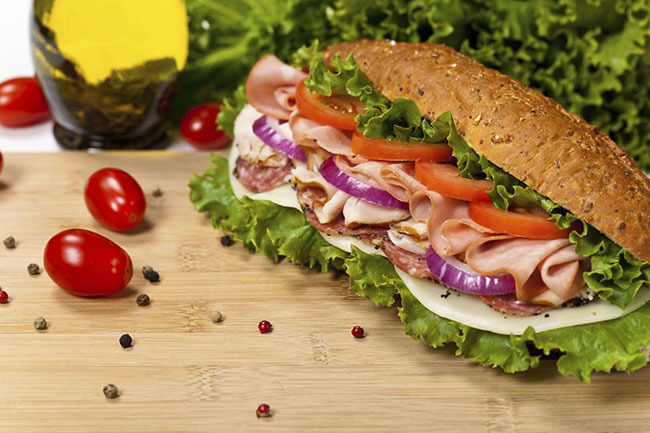 Split bread is filled with ingredients like beans, avocado sauce, ham or eggs. They are hugely popular during big events, festivals and football matches. 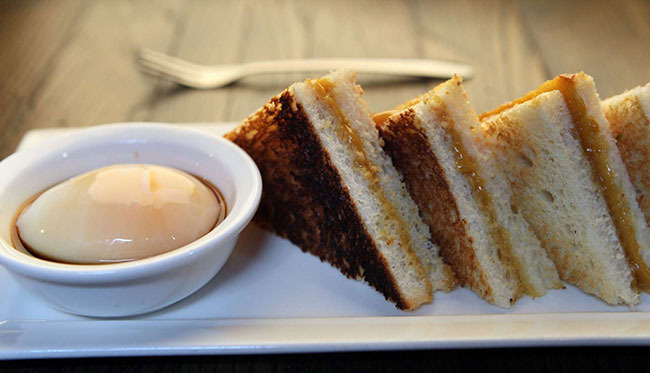 A sweet sandwich, kaya toast is made using bread, coconut jam and pandan leaves. It is eaten mainly as a breakfast dish and served with coffee. Crackling moist meat topped with a delicious apple sauce, the pork roast roll combines the right amount of crunchiness and sugariness. 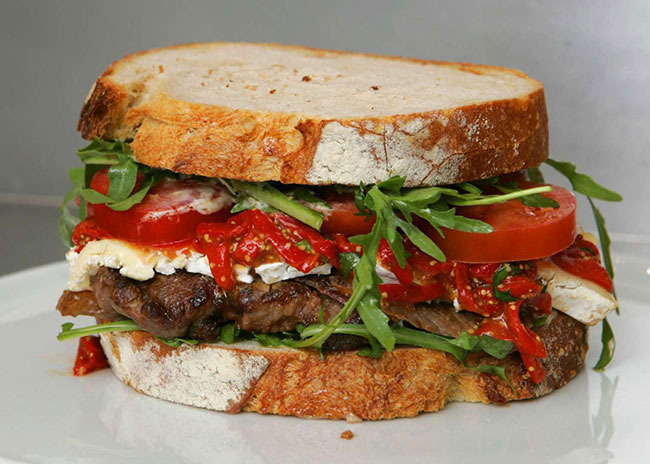 An excess of Wagyu beef put in slices of white bread. 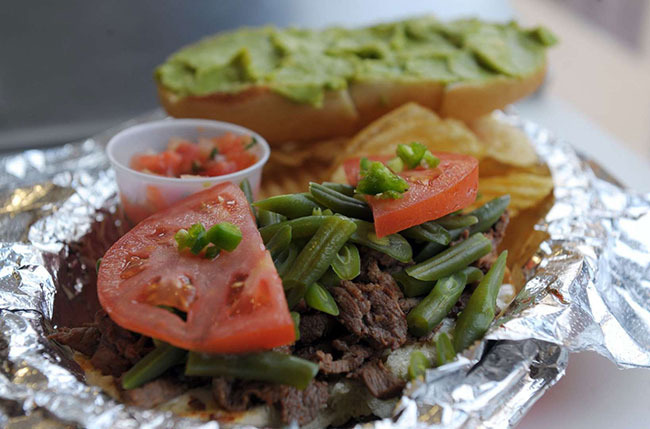 An assorted choice of vegetables is used to heighten the flavour of the beef. A crunchy baguette with salted butter, thinly sliced boiled ham, and cheese. 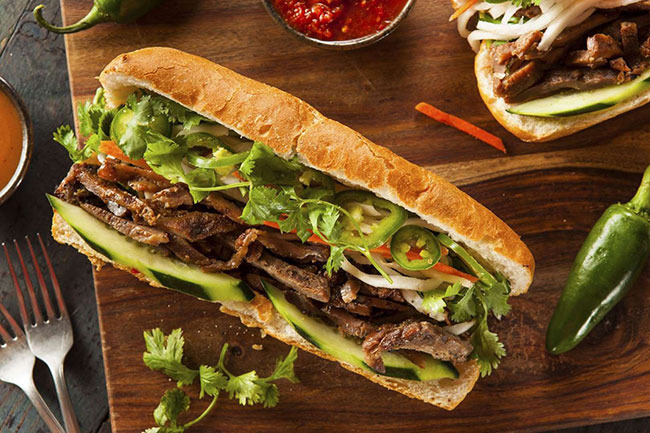 A product of French colonialism in southeast Asia, it combines French and Vietnamese ingredients such as baguettes, pâté, mayonnaise, cilantro, fish sauce and pickled carrots. 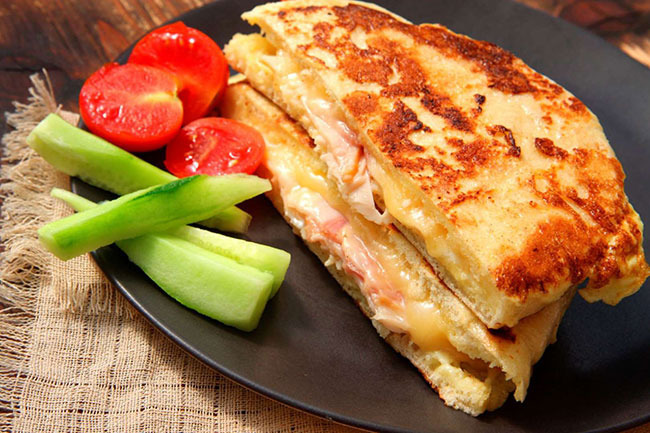 Originating in French cafés, the croque-monsieur is a grilled ham and cheese sandwich. When served with a fried or poached egg on top, it is called a croque-madame. 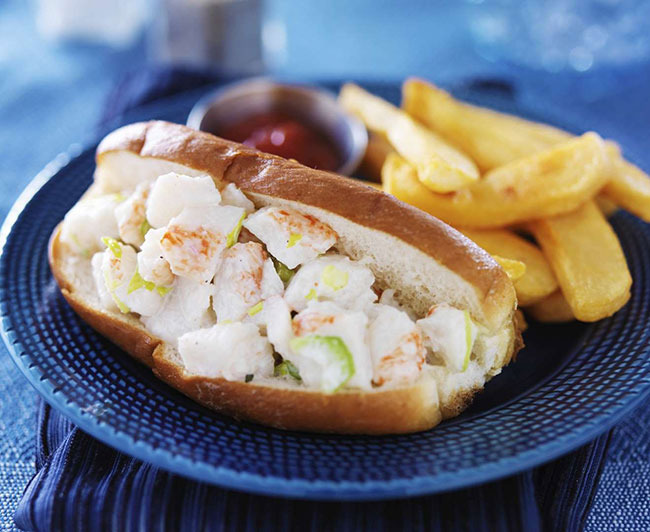 A roll piled high with juicy pieces of fresh meat with just the right amount of melted butter. 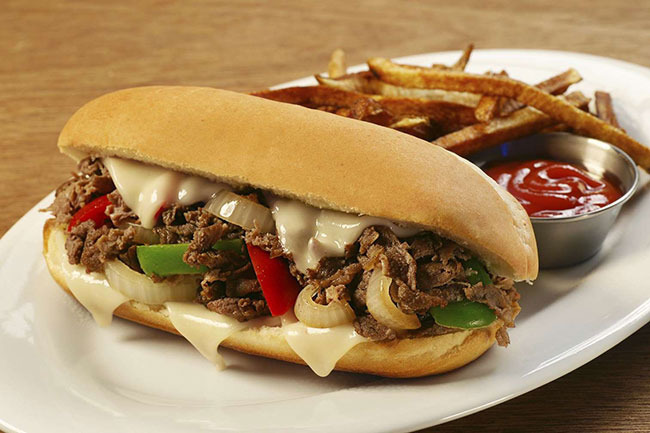 Topped with sautéed onions, peppers, mushrooms, mayonnaise, hot sauce, salt, pepper and ketchup, this version of the Philly sandwich uses chicken instead of beef. 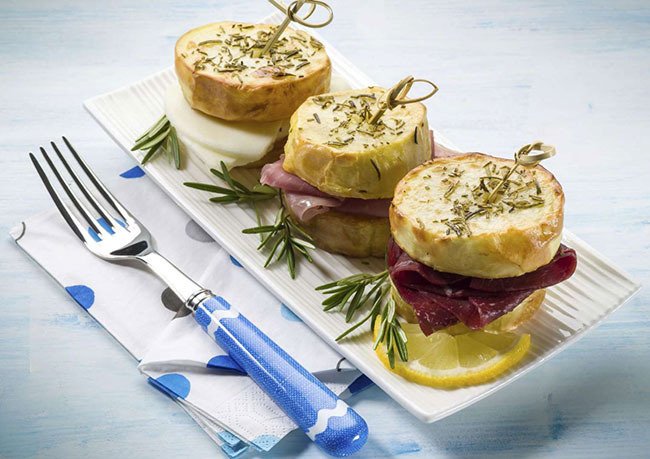 Always served cold, it is commonly drizzled with olive oil and lemon juice, and served with rocket salad, cracked black pepper, and Parmesan cheese. 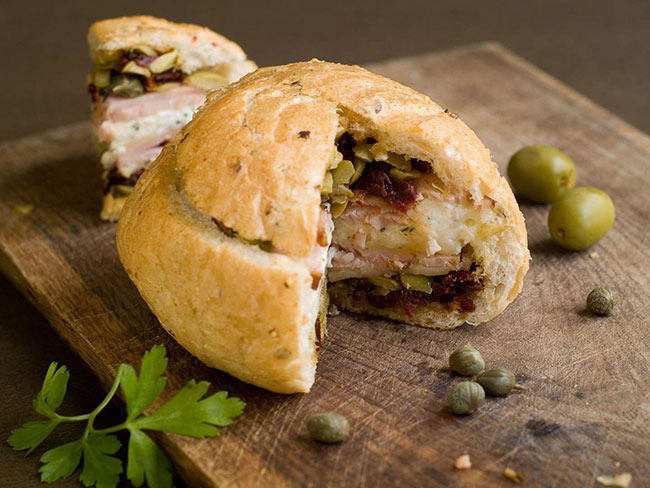 A traditional muffuletta sandwich is made of a muffuletta loaf and covered with layers of marinated olive salad, mortadella, salami, mozzarella, ham and provolone. 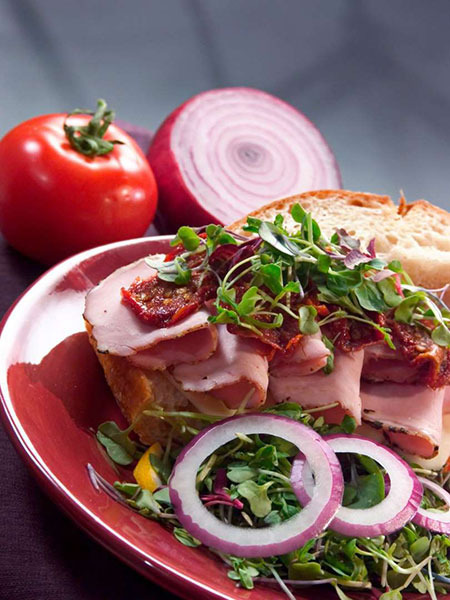 A spiced chicken flatbread sandwich topped with chilli mayonnaise, arugula, sliced tomatoes and grated cheddar.